Dallas Cowboys tight end Jason Witten returned to his home town of Elizabethton, TN to host his 14th annual Score Foundation Football Camp. Yet this year there was a special surprise, as for the first time ever the camp was held in Citizens Bank Stadium to give the young players a little more elbow room and excitement for being on that field. About 1,500 kids between the ages of 7 and 18 participated and got to work on their sports skills while being taught by some of the greatest coaches in the area. The ten-time Pro Bowl player has been playing on the team since 2003, and they are the only franchise that he has ever been with. 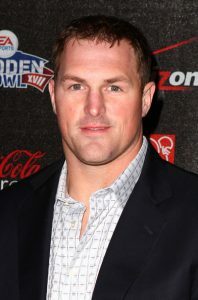 Witten has won numerous awards including the Home Depot NFL Neighborhood MVP and Walter Payton Man of the Year Award in 2012, and the NFL Alumni Tight End of the Year Award three times in years 2007, 2008, and 2010. In addition to that, he is also the Dallas Cowboys all-time career leader in receptions. Witten went home this summer to host his annual football camp in his hometown, and this year the kids got an extra special treat being able to attend the event at Citizens Bank Stadium. If your company is interested in finding out availability and booking fees for a professional NFL player like Jason Witten, or other sports celebrities for an Autograph Signing, Fundraiser Event, Guest Appearance, or Football Camp, call us at 1-888-246-7141.